UBreakiFix is a retail electronics repair franchise. UBreakiFix franchisees take advantage of an established name that customers trust with industry leading quality guarantees and an emphasis on customer service. UBreakiFix franchisees combine a sought after service with healthy margins. UHelp USave Remodeling is a full-service repair and maintenance company specializing in remodeling projects, with a twist. We encourage the customer to help with the project. We provide a safe environment, in which customers can help even if they have no remodeling experience or skills. Depending on the scope of the project, and level of skill, customers can assist with anything from buying materials, cleaning up, or making supply runs, to framing, painting, installing insulation, and more. Customers can help as little or as much as they like. The more they help, the more they save! 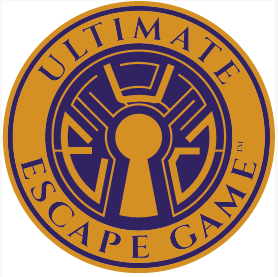 Ultimate Escape Game is an immersive live-action entertainment experience, where guests are “locked” in a themed room where they must use logic, reasoning, puzzle-solving, and teamwork skills in order to get out. Each Ultimate Escape Game franchise will have anywhere from three to five state-of-the-art ‘Escape Rooms’ that offer an experience that is both stimulating and gratifying for the customer. Ultimate Image is a cosmetic medical center delivering excellent, natural-looking results to each patient, using the highest standard of patient safety, ethics, and medical care. Ultimate Woman 20 Minute Fitness was the first to provide a quality 20 Minute Fitness program just for ladies. The private environment and superior services make Ultimate Woman the prestigious place to be. Our UltraFit circuit-training program combines a full range of fitness and exercise equipment tailored just for women. Our professional trainers provide that personal attention that make health and fitness fun. Our clubs also provide a friendly, comfortable, motivating and energizing environment for physical activities. Trained professionals are on hand to guide and support clients every step of the way. Ultragloss offers an affordable franchise with a unique niche in an in-demand industry for two vital reasons. First, cars aren't going anywhere and neither are the people who sell them. People and dealers are always going to need cosmetic repairs. Second, this is our specialty and since this is our niche this is all we do - cosmetic repairs on automobiles. Our franchise is more secure than a business opportunity. Ultrasonic Blind Cleaning provides efficient, safe and thorough cleaning techniques, mainly to residents and businesses throughout southern California for over 15 years. Ultrasonic Blind Cleaning provides customers with more than just blind cleaning. While offering blind repair and even providing new blinds one of the most impressive facts about UBC is that all of it is contained within an easily recognizable mobile unit. Una Mas Mexican Grill offers a fusion of traditional Mexican dished with an authentic flair. Our competitive advantage lies in our unique dishes, fresh preparation techniques, high quality ingredients, upscale atmosphere and strong operational systems honed over 14 years of experience. We are an Office Coffee Service business and we understand that investing your time and your savings in a new business opportunity is not something to take lightly. The UNIBREW machine incorporates a state-of-the-art, new to the industry, whipping chamber that whips your coffee when you choose Hot Shot Blend and Cappuccino offered in the Gourmet Menu. Our product is a specialty Coffee Roaster who has crafted for you a unique selection of whole bean coffees. UniGlobe Travel is a travel-agency franchisor designed to handle the needs of both the corporate and leisure client. Uniglobe franchisees benefit from money-saving automation agreements, exclusive territories, and top-notch incentive commission programs with major airline, hotel, car rental, tour and cruise-line companies in the $300 billion travel market. Invest in the brand that revolutionized the beauty industry! In 1993, Uni K Wax opened the FIRST unisex waxing salon and created the Brazilian wax. Uni K Wax are now opening opportunities to own a Uni K Wax Center. We invite you to see why we are the best in the industry! Unique Blends Juice BarSM is the first concept of its kinds to offer a much needed update to the $2 billion smoothie industry. With a focus on educating consumers to the benefits of using the right ingredients to combat the growing health and obesity issues in our country, Unique Blends is positioned to revolutionize the industry. At Unique Blends, we pioneered the use of organic and natural ingredients to develop a collection of great tasting drinks and smoothies that offer unsurpassed nutrition and taste. Our Certified Nutritionists developed cutting-edge drinks and smoothies to meet specific criteria for ingredient quality, nutritional content and taste. Our products also meet the demand from many consumers today for a quick snack or meal replacement that is healthy and truly nutritious. Established in 1994, Unique Classic Candles are manufactured to the highest standards of the industry. They are carefully handcrafted in the mountains of Northeastern Pennsylvania, using only the highest quality components. Each step in the manufacture is done by hand, with no machine-operated equipment used in production. A complex blend of carefully prepared additives has been integrated to ensure quality and performance of our product; associated with lesser quality candle. We are constantly developing new additions to our product line and have the capability of tailoring and manufacturing custom products to suit particular custom needs. We also offer specialty products for fundraising groups. Our candles are long burning and super scented throughout the burn time of the entire candle. For 25 years, Unishippers has been the trusted shipping advisor for over 50,000 shipping customers. Unishippers creates individualized shipping solutions and partners with carriers like UPS to handle shipments. Own your own Transportation Company for under 15k. Instead of paying 100k in start up cost, own a turnkey company with an already full service staff support. Make up to 8 figures a week working from home or a small office. 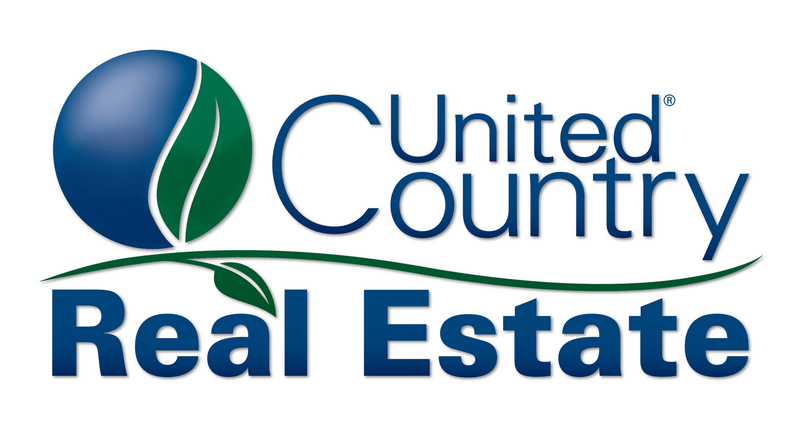 United Country Real Estate has been providing expertise marketing in small city and town homes for over 80 years, connecting urban individuals to second homes, vacation properties, ranches, farms, recreational and commercial properties in small cities and rural locations. United Country currently has over 6,000 agents and more than 500 offices nationwide. United Dollar Store is a company that helps individuals start their very own dollar store businesses. United Dollar Store helps you find a location, work out a lease agreement, design the store, and provide the merchandise and equipment needed to open a professional business. The key to a dollar store is quality merchandise, and United Dollar Store has ongoing deals with many suppliers to stock the shelves with good items that can retail for just one buck. By supplying to so many stores, United Dollar Store is able to negotiate low prices for this merchandise. The United Martial Arts Centers franchise concept is founded on a passion for the martial arts, and a love of teaching Tae Kwon Do. We are currently seeking individuals who share our goals and have an active interest in changing lives for the better, not just kicking and punching. Our comprehensive training and support programs will assure that approved franchise operators will have the tools they need to run their own martial arts school. The UMAC franchise program is a great opportunity that leverages positive trends in the fitness industry and the popularity of martial arts in the U.S.
Any time a customer makes a purchase with a credit card, debit card, or check, another company - called a service provider - makes a fee from these transactions. Are you ready for an exciting opportunity in the credit card processing market? United Merchants Group has a proven system that can enable you to be a success while you work from home. Why not enter into this exploding market? United Merchants Group will help make it easy for you. Remember too....this is a recession proof business!